Not all ways of reducing your tax bill and increasing your take-home pay mean you’ll get on the wrong side of the taxman. There are plenty of perfectly legitimate methods to become more tax-efficient as a plumber, painter or decorator. Here, we give the three best tips to cut down on the amount you owe, whilst declaring everything you earn. The work of a tradesperson means you’ll be away from home a lot and often purchasing raw materials to complete your tasks. These costs can accumulate, but they can be offset. For example, a painter could claim on supplies such as primer. You can also claim for the travel between any customers’ properties, along with vehicle-related costs like repairs, servicing and parking. Commuting between home and a place of work isn’t classed as an allowable expense, however. Whilst you’ll unlikely be working from home on a regular basis, there are costs associated with this that you can claim. These could be related to administrative tasks, like stationery and legal fees. Marketing costs can be offset also – for instance, the fees to advertise in newspapers or directories, and those associated with running a website. Homeworking costs can be claimed as well. You’re only able to offset business usage, so calculating the proportion attributed to this is required. There is the option to use simplified expenses to avoid these sums – these are only available to those who work from home at least 25 hours per month. In addition, if you have a specific branded uniform or protective workwear you wear to perform your job, this can be used to minimise your tax bill too. Certain equipment might be able to be claimed as a capital allowance, and cars are included – though there are specific rules around this. Two other expenses that can be claimed are employee salaries, along with those of any subcontractors. It might be the case that you are subcontracted by other contractors, and they are registered under the Construction Industry Scheme (CIS). This requires them to deduct tax payments from the subcontractor’s earnings upfront – but don’t forget to include the tax deducted on your Self Assessment tax return. It’s necessary for the contractor to register for the scheme, but the subcontractor doesn’t legally need to. However, it is beneficial to in terms of tax efficiency because otherwise the deductions will be at a higher rate. Only those whose work comes under the umbrella ‘construction work’ can register. HMRC has a list of work covered by CIS so you can check if yours applies. It includes tasks such as alterations, repairs and decorating. The calculations involved under the CIS and claiming expenses aren’t the simplest to figure out if you’re not a tax expert. And with the long hours in trade work, this doesn’t offer the time to get to grips with them either. A way round this is to use tax return software. You’ll easily be able to track your expenses such as mileage for traveling to customers’ properties, along with those for your raw materials. You can also submit them via the software – simply photograph your receipts, invoices and contracts and upload them on the go. They can therefore be updated easily and at the time, removing the need to find pieces of paper later down the line. You’ll be able to be more tax-efficient too. This is because the tax software automatically points out how to reduce your liability. 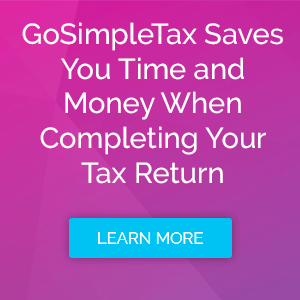 You’ll also save money otherwise spent on outsourcing the calculations or Self Assessment tax return submission to a specialist – GoSimpleTax’s easy-to-use software allows you to become proficient in tax. To take advantage of this way of minimising your tax bill, take a free 14-day trial today.